It gives me great pleasure to announce that we have a new CWNE working here at Aerohive. This employee joins a growing list of Aerohive CWNEs, all of whom are named at the bottom of this post. CWNP, founded in 1999, is the IT industry standard for vendor-neutral enterprise Wi-Fi certification and training. IT professionals in over 150 countries have pursued the foundation level vendor neutral 802.11 certification of Certified Wireless Networking Administrator (CWNA). Because the CWNP program is vender neutral, most of Aerohive’s competitors require their system engineers and other technical staff to be CWNAs. Aerohive leads the way with certified CWNA employees! For those not familiar,Certified Wireless Networking Expert (CWNE) is the top-level certification offered by the CWNP program. To become a CWNE, a WLAN professional must pass four very hard exams about 802.11 wireless networking administration, security, analysis, and design. But keep in mind, passing four tests is only the beginning. All CWNE applicants must establish many years of WLAN experience, meticulously document involvement with numerous WLAN projects and seek endorsements from respected Wi-Fi industry professionals. The CWNP Board of Advisors must approve all CWNE applications. As of today, just over 300 individuals are card-carrying CWNEs, 9 of which are at Aerohive. Ruchi Sharma, CWNE #303: Ruchi grew up in India and earned her bachelor’s degree in Electrical Engineering from the University of Kerala. She also earned her Master’s in Electrical Engineering from Wichita State University, Kansas, where she was later hired to implement the campus wireless network. Ruchi joined Aerohive in 2012 and currently resides in California. 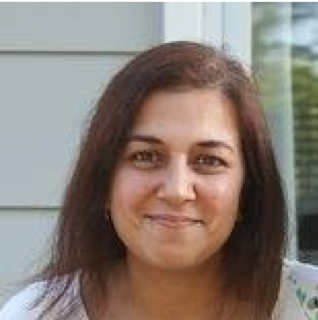 Ruchi is a Senior Technical Marketing Engineer at Aerohive and has also served as an inside systems engineer (SE). I first met Ruchi at Aerohive headquarters six years ago and knew immediately that she was CWNE material. She has assisted many Aerohive customers as well as Aerohive employees with Wi-Fi designs, WLAN troubleshooting and validation of new Aerohive cloud management and networking features. We encourage all dedicated WLAN professionals to work towards joining the CWNE group. Let us know when you get your CWNE number and we will teach you the secret CWNE 4-Way Handshake.